For the majority of my child and adult life I never considered myself a “morning person.” I was a night owl. During my architecture school career I worked late through the night and slept in the mornings. When I started working at an Architecture firm, I conformed to getting up at 7am… but I didn’t enjoy it. I would get up as late as possible, skip breakfast, rush to work, and then feel like I was trying to catch up the rest of the day. This type of routine will take its toll on your physical and mental well-being and majorly impact your productivity. Now, I work from home for myself on various businesses, and I happily wake up around 5:30 am each day. Even on weekends, I’m usually up by 7 am. 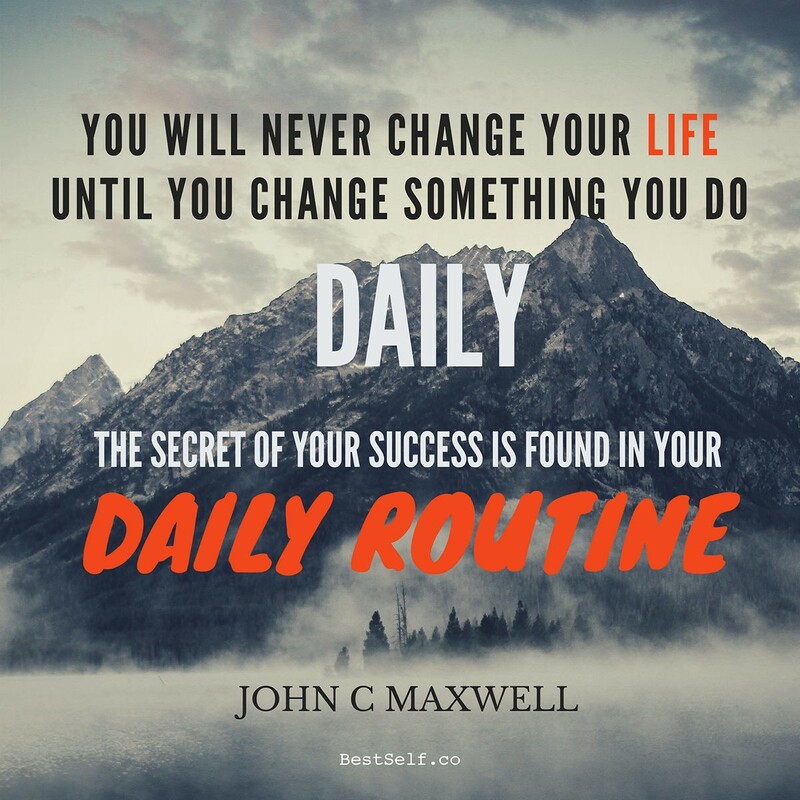 It could be that I’m enjoying the work I’m doing so much and am accountable to only myself; however, I think it has more to do with the fact that I’ve learned so much about how creating good habits and a morning routine are critical for lifetime success. A morning routine sets the tone for the whole day, and if you do each day right, you’ll do life right. One of my goals for the beginning of this year was to get into a good morning routine in order to set myself up for the day. It started whenever I read The Miracle Morning by Hal Elrod in January. I knew that not having a good morning routine and feeling overwhelmed and disorganized were connected. I needed to work smarter, not harder, and the first step was to create good habits. Over the past several months I have been working on “habit stacking” to craft myself a good morning routine that works for me. Habit Stacking is a way to build a new habit into your life by stacking it on top of something you’re currently doing. For example, before I brush my teeth in the morning (current habit) I will meditate (new habit) for 3 minutes. I’ve discovered the personal ritual I have set up for myself has helped put me in the right mindset and offset any morning procrastination. Here’s a previous medium post I wrote about it. Another great reason to create a morning ritual it is to avoid mental fatigue. We only have a certain amount of energy and willpower when we wake up each morning, and it slowly gets drained away with decisions. 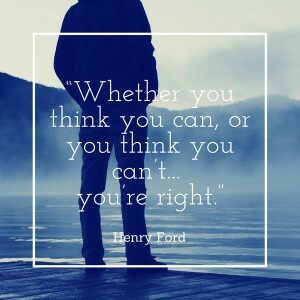 This is especially true if you’re making hundreds of small decisions in the morning that mean nothing yet will affect how you make decisions for the remainder of the day. Try to have the first hour of your day vary as little as possible with a routine. Avoiding mental fatigue is why Mark Zuckerberg wears the same thing everyday. Knowing exactly how the first 90 minutes of my day looks like is powerful, as it helps me feel in control and non-reactive, which in turn reduces anxiety and ensures I’m more productive throughout the day. After 6–10 hours without any liquid, you need to rehydrate and wake yourself up. Drinking water is a great way to kickstart your metabolism, especially when it’s ice cold. A little light stretching in the morning is all it takes to shake off grogginess and limber up for the day ahead. It only takes a few minutes but by doing basic stretches, here’s the ones I do. I use the 7 minute workout app. Perhaps the most important part of my routine is clearing my mind so that I can gain focus for the day. I’m very new to meditation. I only added it to my daily life within the past 6 months. I personally use the Muse headband because, as a beginner, I had trouble learning how to meditate and understand when my mind was drifting. The Muse detects my brain signals to let me know when my brain is calm and focused and when it is not. It is not essential for meditation. I have also heard great things about the app Headspace. Since beginning the daily habit of meditation I have seen a big improvement in my focus, productivity, and stress levels for the rest of the day. I’ve been doing bulletproof intermittent fasting since Oct./Nov. of last year, so I only drink BP Coffee in the morning. While the coffee is brewing, I use those few minutes to wash some dishes. No one could ever accuse me of being a “cleaner,” but I enjoy doing the dishes in the morning so I can think through my day. It also makes me feel like I have accomplished something already, which is a great way to start the day. This 20 minutes of reading has been huge for me. Not only is it enjoyable, but reading books on mindset, personal growth, and business inspires me in the beginning of my day and gets the creative juices flowing. If you’re curious what I’m reading, you can see here. This part of my morning routine was established more recently and is a creative process. It’s an activity of writing 750 words (around 3 pages) each morning. It’s not blogging or anything that I will ever release to the world. It’s a stream of consciousness of whatever is on my mind, essentially a brain dump on ideas for business, life, and other decisions. Whatever I want to clear my mind of, It gets my brain working and thinking more creatively. Each morning I write down my goals. First, I write down a long-term goal that I’m working towards. I write this down each day to keep me mindful of my direction so that I don’t go off track. Then, I write down the day’s targets, which are what 3 things I need to accomplish to move me further toward my long-term goal. I usually have my 13-Week Roadmap planned ahead of time that has my goals broken down with a timeline. I’ll delve into this process in another post, but essentially it’s a planning structure so that I know what I should be working on for 3 months at a time. Interested in learning about this? Let me know. I break down my day in 30 minute increments, enter any calls or appointments I have, and then schedule out my tasks for the day. I always put the most important (coincidentally usually the least enjoyable) first so that I ensure it gets done. I try to never book any meetings or appointments until late in the afternoon if I can help it because my mornings are my sacred hours of peak productivity. I don’t look at my phone, email, facebook, or twitter until after I’ve completed that first big task of my day. I pause my inboxes the night before (using inbox pause) so that, in the morning, if I do need to send out any emails I can do so without being bombarded with any incoming mail. Remember, email is someone else’s request of your time. Prioritize your goals and tasks first before looking at email so you don’t go into reactive mode as opposed to proactive mode. My morning routine takes just over an hour. I can’t stress enough to you the importance of a great morning routine, as it will set you up for a successful day — and life. With that said, what I do isn’t for everyone. I experimented with a few different things and figured out what worked for me. You should do the same. Soon you’ll know what things work for you, and you’ll enjoy starting your day. I’d love to hear about your morning routine if you have one. What does the first hour of your day look like? Cathryn Lavery is a serial entrepreneur dedicated to helping others become their Best Self. Want to hear from Cathryn, check out her YouTube Channel LittleMight; business, productivity and leadership ideas to empower creators to change the world. Serial Entrepreneur — I write what I know at LittleMight.com.